Published on November 29, 2016 in architecture and general info. 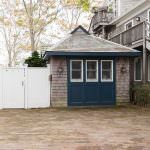 Closed Tags: Cape Cod Luxury condo sales, Cape Cod real estate, Cape cod waterfront homes, Provincetown condo sales, Provincetown luxury real estate. 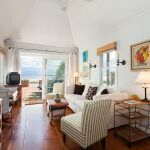 The “Boathouse” at 455 Commercial Street is a 418 square foot cottage on the bay beach and it just sold for $1.185 with an asking price of $1.349M. Everyone knows this charming boathouse – it is on the water in the East End right before PAAM. A true one of a kind property. 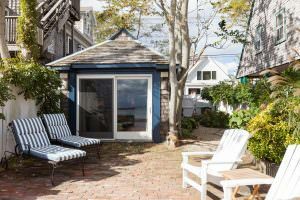 MLS COPY: Rare opportunity to own historic single-family home on Provincetown Harbor waterfront in the desirable East End. 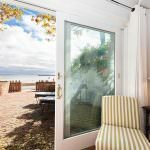 With only 3 owners since its construction, this Bayfront Boathouse enjoys a beautiful harbor setting, parking for 2 cars, private waterfront living areas, sandy beach frontage, lush gardens and amazing views of Cape Cod Bay. Easy-to-maintain, the residence offers 1 bedroom, sleeping loft, full kitchen, full bath with washer/dryer, and two parking spaces.